The Experiential Social Media Advisory Consultation Widget lets you tap CSRA’s expertise via video or telephone conference. Just explain your goals, tell me about the situation and desired outcomes, and I’ll suggest one or more consultations. You select and schedule. That’s it! Consultations are short and limited compared to management consulting. They are especially useful in two types of situations: when you want to get clarity on a business strategy, marketing, social business or social media issue—or when you have relatively tactical issues that are specific and bounded. Often a single consultation will resolve your questions, but sometimes a series is better, so I can guide you through a short process. In all cases, we establish goals for each consultation, so we meet your goals. If you are using The Social Channel App, see Social Channel Topics for suggested consultations. What’s going on? Set the scene in a few sentences. Sometimes it can help to answer questions like: What’s your situation right now? What change do you want to make (or what confronts you to make a change)? Who is involved? Just describe the main players, a sentence or two about each one. What decisions do you feel you have to make (but aren’t totally comfortable with)? Why is this important to you? What’s the opportunity or threat? What’s at stake? What are your goals for resolving the situation you described above? What would be ideal? What would be acceptable? Unacceptable? What’s your sense of urgency for resolving your situation? Within a couple days? A week? Today? Other? What people, events or other things outside your control are driving or limiting how you resolve the situation? Please give dates and other facts to describe. LinkedIn Profile links for yourself and main players you mentioned in “situation.” (i.e. http://linkedin.com/in/csrollyson); other online bios are fine, too. If you need to share word or pdf documents, please email them to me. Is there anything else you feel I should know? All information provided here is strictly confidential, between us and anyone else you involve. Once you hit the “Show Results” button, the widget will notify me, and I’ll be in touch with a copy of the information you shared as well as (usually) a choice of suggested consultations, either a single or several, along with pricing. Please note, this version of the widget does not allow you to “go back/correct” anything, so please check what you’ve written before you hit the “Show Results” button, which submits your answers. After you hit the button, the widget will show your answers, so you can print/pdf if you want. If you have any questions or what to tell me about your situation in another way, please contact me or share below. Situation: You have received a surprising social business or social media proposal, so you want a second opinion on the proposed approach. This can also apply to comparing competing proposals. Goals: Evaluate proposal overall and/or focus on specific parts of the proposed approach. Approach: Cooperate to evaluate the parts about which you have questions; suggest techniques to diligence further; suggest responses to proposer. Situation: You have experienced some surprising social media backlash and are unsure about how to react. Goals: Establish risk level within the context of your public profile, business and stakeholders; outline suggested responses and how to manage stakeholders. Approach: Identify relative risk and sensitivity of each stakeholder type; discuss brand or business reputation capital in terms of stakeholders; outline immediate mitigation strategies. Situation: Your social media team is in flux and you feel like you need guidance; maybe a key person has just left or you have conflicts among teams or partners. Goals: Whether a recent departure has you scrambling or you are planning longer time, outline immediate and longer term responses. Approach: Assess your needs in light of business/brand strategy and current operations (your team and partners), and recommend resolution. Situation: Your agency has given you unsatisfactory results; maybe they dropped the ball, or your needs are changing. Goals: Identify the mismatch and recommend corrections. Approach: Assess and identify your needs in the context of your business goals; establish the source of the mismatch between what the agency delivered and what you need; suggest alternative approaches and negotiation strategy. Consultations are an easy way to extend The Social Channel App by applying it to your specific situation and goals. For example, when you are using the app to build your social business strategy, having clarity around these issues can help your team move along faster and with more confidence. How many stakeholders do you need in your analysis? Tying stakeholders to your business/brand strategy. Building and iterating the stakeholder lens and keyword families. How to think about prioritizing stakeholders. Understanding the significance of user outcomes in identifying optimal places to interact. How many workstreams do you need to evaluate? How to connect workstreams to your business/brand strategy. Building and iterating the workstream lens and keyword families. Synthesizing Stakeholder and Workstream lenses. Developing quantitative metrics to rank digital social venues. Developing your optimal process for evaluating social venues. How to use various tools together to evaluate and rank digital social venues. Creating a deliverable that’s authoritative and actionable. You have conducted a “social media strategy,” but The Social Channel App causes you to question whether the strategy is complete or robust enough. Discuss your business/brand strategy, and where it’s going. Evaluate the pre-existing effort and gaps you perceive. Make specific suggestions for using The Social Channel App to correct the strategy, or conduct a more robust one; in this case, discuss what parts of the old one you can reuse. How to start thinking about developing internal social business competency. Evaluate your social media operations, teams and partners in light of your business/brand strategy. Discuss your experience with stakeholders, workstreams and venues; how well have you been connecting with them? Discuss organizational logistics; what resources and constraints you face. Suggest approaches for building team(s) as well as collaborative approaches with agencies and other partners. 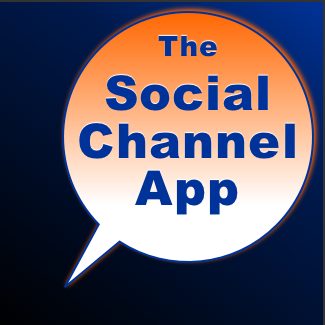 The Social Channel App outlines four trust-based models to develop relationships and business. Consultations can give you specific guidance for developing trust-based metrics to measure the effectiveness of your (or agency) interactions with stakeholders. Although there is some similarity in digital social interaction, each social venue has distinct types of interaction based on its sponsor, membership and functionality; therefore metrics to measure changing trust and relationship have to be in sync with the venue. How to think about predicting when relationship results in additional business, and how to develop metrics to measure it. How to evaluate what you have—and design an “upgrade process” to redo it if needed. Broad discussion about drivers; why are you thinking about policy? Who is driving it? What have you done before? Establish the current state. Evaluate your needs in terms of business/brand exposure and existing governance. Analyze the current policy and suggest changes/upgrades as well as a process.